Note: Curling Smith, Anna Theofilopoulou, and Loraine Rickard-Martin, members of the original resolution drafting group, endorse Lowell's views as expressed (below). It was with a considerable sense of dismay that some of us read Mr. Sugyiama Iutaka’s, letter of 20 July addressed to the members of the Pension Board (see below email from Julie Thompson and cover note and draft resolution by Mr. Iutaka). Over several weeks in May and June, we had a small working group that collaborated on a draft resolution for possible presentation at an AFICS general meeting should we be able to convince the AFICS leadership to hold one. We garnered input from the group through email circulation, a meeting at the Staff Union office, followed by requests for further inputs. converging or intersecting interests (cross-cutting) on staff related issues, to lend support to those issues as would be appropriate. It is important to note that AFICS does not act in a support role to the Staff Union anymore than the Staff Union acts in a support role to AFICS. Each is bound by its terms of reference and will therefore take forward the interests of its own constituents within the limits of their respective mandates. And it should be noted that the Staff Union has a broader mandate than does AFICS. Any mutual benefit that may accrue from the fact that some of these interests are shared is a byproduct, not a primary motivating factor for either body. We described retiree interests as opposing any changes that could breach the separation between the liabilities and assets sides of the Fund, including giving authority to the CEO over investment staff, and any movement toward alternative investments, such as hedge funds. We said that we understood that these were issues that concerned current staff as well as retirees (which we termed 'cross-over' issues). In an attempt at further compromise, at some point during the drafting, Loraine and I informed Michelle during a conference call that we would also be willing to add text to the draft resolution relating to the impact on services to retirees of low morale in the Fund Secretariat as a result of these exceptions. But, we did not receive such input. We were surprised to subsequently receive an entirely new alternative draft resolution from Mr. Iutaka with the assumption that we should abandon the work already done and address a new draft. Moreover, the text of the new draft incorporated many of the ideas that we had labored to explain over the past weeks as not in the purview of AFICS, the body to which we had agreed our resolution was directed. We reiterated that the new draft, primarily in its over-riding focus on the four exceptions, primarily addresses issues more suitable for adoption by the Staff Union or CCISUA, not AFICS. In fact, we suggested that the Staff Union would be best placed to hold an extraordinary general meeting to address these issues and they could do so without the impediments placed by AFICS. But there was no willingness to proceed in this manner. Our group basically broke down at this point over our disagreement about how best to proceed, which became academic, in any case, because the AFICS leadership refused to convene a general meeting. We now find the Mr. Iutaka has proceeded to submit, under his own name, his version of the draft resolution to the Pension Board. While there are no doubt elements of this draft that have merit since it incorporates some of the things we had already agreed, overall it undermines the credibility of our whole effort. First, because it is submitted on behalf of one person, although the implication is given that this is something submitted by retirees as a group and by extension that all members of the working group were in agreement. Second, it is a completely theoretical resolution that was never presented to AFICS and has no standing, with content that in and of itself is questionable, specifically the lengthy discussion of human resources issues. It would certainly convey the impression that we are clueless about what the meaning of a resolution is. Third, it was done in bad faith with no prior consultation but purports to represent the views of retirees, none of whom have been consulted. I wish to express my regret over the confusion and misunderstanding that is now created and to advise that we were not consulted, nor did we agree to send this letter to the Pension Board. The fact this letter was signed only by Mr. Iutaka indicates that they are entirely his personal initiative, although people might be wrongly inclined to believe they were a group effort. Recently many of you joined the effort first made at this year's annual meeting of AFICS to call on the leadership to hold an Extraordinary Meeting on pension matters before the next meeting of the Pension Board. At the annual meeting a motion to hold this meeting was proposed by Mr. Sugiyama Iutaka and seconded by Ms. Loraine Rickard. As you know, the Chair ignored the motion. Many of you then joined the campaign to request the President of AFICS to hold the meeting. You have followed the dedicated campaign that has been waged by Ms. Rickard, Mr. Lowell Flanders and Mr. Curling Smith. The effort has failed. We have run out of time. The Pension Board began its 62nd session last Friday. We therefore decided to send our concerns directly to the members of the Pension Board. Please find attached the communication we are sending to them. We ask that you give full attention and consideration to the information we are sending you, attached. We are United Nations retirees, members of AFICS/New York, whose views on the proposed changes in the governance of the UNJSPF are not reflected in the position taken by the President of AFICS/NY and its Governing Board. The President of AFICS/NY is also the President of FAFICS and, in this capacity, is empowered to represent the views of retirees in the deliberations of the Pension Board. We submit that she does not. In fact, it has become clear that her position bears no relation to the views of a significant number of the Association’s members. Members of AFICS/NY attempted at the annual meeting in June to call on the leadership to hold an Extraordinary Meeting prior to the 62nd session of the Pension Board to discuss the proposed changes to the governance of the Fund. A motion to this effect was proposed by Sugiyama Iutaka and seconded by Loraine Rickard-Martin. The President failed to put the motion to a vote. Following the AGM, more than 80 members of AFICS asked the President to hold the Extraordinary Meeting. Ms. Rickard-Martin and two other AFICS members tried repeatedly to hold the leadership accountable. Following this week’s statement by USG Takasu on the status of the draft Memorandum of Understanding between the Fund and UN OHRM, the President declared that the element of urgency for such a meeting has been removed. That is not our judgment. As Ms. Rickard-Martin observes, “a meeting delayed is a meeting denied”. Under the by-laws of AFICS, members are permitted to challenge a decision of the President. We request that the Federation and the UN Pension Board take note that many AFICS/NY members do not agree with the position that has been consistently expressed over the past year by the President on matters concerning the governance of the UNJSPF. This week’s release of papers by OIOS and OLA on the proposed changes to the financial regulations and rules governing the Fund further adds to the urgency of our request. We therefore ask that you take fully into account the positions expressed in the attached draft resolution. Had it been tabled at the Extraordinary Meeting it would, we submit, have been adopted. Its concerns are similar to those contained in this year’s petition to the Secretary-General signed by more than 3,000 retirees and staff, and are the same as those expressed in a similar petition last year signed by over 13,000 retirees and staff. On 4 June 2015, a motion was made and seconded at the annual meeting of the Association of Former International Civil Servants (AFICS/New York) requesting the Association’s leadership to hold an Extraordinary Meeting prior to the 62nd session of the UN Joint Staff Pension Board for the purpose of discussing matters relating to the governance of the UN Joint Staff Pension Fund. The President of AFICS/NY, who was chairing the meeting, ignored the motion and failed to put it to a vote. Subsequent follow-up by a group of retirees failed to elicit a date for holding this meeting. Time is now running out. The 2015 session of the Pension Board begins this week. We therefore submit the following draft resolution and ask that it be taken into account in all deliberations of the Pension Board, as representing the views of members of AFICS/NY who dissent from the position of the President of AFICS/FAFICS. The draft resolution, below, was to have been tabled at the Extraordinary Meeting. In light of the widespread support for its proposals, we submit it can be taken as adopted. This support has been expressed in oral communication with members of AFICS/NY, by the 82 AFICS members who formally requested the Extraordinary Meeting, and can be seen in the more than 16,000 signatures on the two petitions that have been addressed to the Secretary-General in 2014 and 2015 on these matters. In adopting the resolution, the Extraordinary Meeting would have requested the President of AFICS/NY (who is also the President of the Federation of Associations of Former International Civil Servants, FAFICS) to submit it to the Board of the UNJSPF at its July 2015 session through FAFICS, as the retiree’s non-voting representative on the Pension Board. 1. Noting with appreciation the effective and efficient management of the assets of the Fund since its inception in 1949, attributable to conservative and careful management in keeping with the fiduciary responsibility of the Secretary-General and oversight by the Board; and noting the achievement of the targets set by the General Assembly (GA) for returns on the Fund’s investments within the principles of safety, profitability, convertability and liquidity as mandated by the GA.
Secretary-General’s Chef de Cabinet that investments will continue to be made on the basis of safety and security, a number of financial media in various countries persist in reporting that the Fund will shortly increase its investment in high-risk products. 3. Mindful that the safety and success of the Fund up to this time has been due to a split system of governance whereby the administration the Fund’s secretariat (contributions and benefits) under the Chief Executive Officer (CEO) is entirely separate from the investments side of the Fund which is autonomous and under the authority of the Secretary-General through RSG. 4. Also aware of an effort by the CEO to gain independence for the Fund from the United Nations Secretariat via a Delegation of Authority through an ST/SGB that was to have been issued on 1 June 2014, without consultation with the Board or staff. 5. Alarmed that, after 70 years, the CEO has decided that the UN Financial Regulations and Rules are no longer adequate for the efficient functioning of the UNJSPF and is seeking sweeping delegation of financial authority under new financial regulations and rules applicable to the Fund. 6. Concerned that the CEO of the Fund is again seeking to codify exceptions to the UN staff rules and procedures for the Fund’s secretariat staff and, now for the first time, for the staff of the investment management division through the proposed Memorandum of Understanding (MoU) between the UNJSPF and the United Nations Office of Human Resources Management (OHRM). 7. Deeply concerned that the CEO is pushing for an MoU with OHRM whereas the General Assembly has requested only for, “… the Board, in consultation with the Office of Human Resources Management of the Secretariat, to complete its review of the policies governing the recruitment, promotion and retention of the staff of the Fund and to report to the General Assembly, no later than at the main part of its seventieth session  on the outcome of the review and any measures proposed” (A/RES/68/247 of 17 January 2014). 8. Urges the Board to ensure that the assets of the Fund continue to be invested with full regard to the standards of safety, profitability, liquidity and convertability, as required by the General Assembly; and requests the Board to reject all proposals to increase the investment of the Fund’s assets in high-risk vehicles, including hedge-funds, now or in the medium- or long-term. 9. Further requests the Board to review the impact of the Assets and Liability Monitoring Committee (ALMC) on the structure and functioning of the Pension Fund in view of its duplication of some of the functions of the Investment Committee and the Committee of Actuaries; and to look into any relationship between the newly-created ALMC and the recent and unexpected resignation of the Chairman of the Investment Committee. 10. Urges the Board to ensure that the management and administration of staff on the investments side of the Fund be kept entirely separate and autonomous from the Fund’s secretariat (contributions and payment of benefits) in all aspects of governance, and that both operate in full compliance with United Nations staff rules and financial regulations. 11. Further urges the Board to review its 2014 decision amending Article 4 of the UNJSPF Regulations and Rules that permits the creation of special Financial Regulations and Rules applicable to the Fund; and requests the Board to permit only the formulation of rules on accounting for pensions and investments that are not covered under the UN’s Financial Regulations and Rules. 12. Requests the Board to note with concern the lack of transparency and the culture of secrecy surrounding the information and documentation that the Fund submits to the Pension Board, and to require the Fund to make available all such materials on its website at the same time as they are submitted to the Board, just as the SG’s reports to the GA are made publicly available. 13. Also requests the Board to highlight the concern expressed by the Board of Auditors and the ACABQ at the large number of vacant posts at the Fund, and to investigate whether this high vacancy rate is linked to the decline in beneficiary services, including the processing of benefits and responses to beneficiary queries. 14. Further requests the Board to withdraw its support for any new MoU between UNJSPF and OHRM regarding human resource issues, and to request that the current MoU (2000) be cancelled; and also requests the Board to note that, in his address to AFICS members in June 2015, the CEO gave assurances that a very few exceptions would be required to give him the flexibility he needs to manage staff; that UN rules currently allow for exceptions to be made; and that the small number of exceptions that will be required by the Fund should not create a burdensome workload for OHRM. a. Classification of the posts of the Fund - The proposed MoU would transfer all authority for the classification of posts from the UN to the CEO, allowing him to write job descriptions customised to fit certain candidates, to fast-track favoured staff, and to otherwise manipulate the conditions of work for staff at the Fund. in the Secretariat. Many point to Pension Fund staff who have successfully passed the G-to-P exam. Again, such an exception opens the door to favouritism and to undue loyalty to the CEO, both of which could compromise a staff member’s integrity and the effectiveness of their contribution to the work of the Fund. c. Mobility – The CEO is requesting an exemption for certain staff of the Fund from the UN’s requirement for mobility before promotion from P4 to P5 on the grounds that jobs in the Pension Fund are “very complex” and staff should be allowed to be promoted without accepting some variation in functions, or moving to a different office or new duty station. Others note that experience gained working in the Pension Committees of other agencies, in peacekeeping missions and in related positions elsewhere in the system enriches the value of staff members hoping to return to the Fund and move up its career ladder. 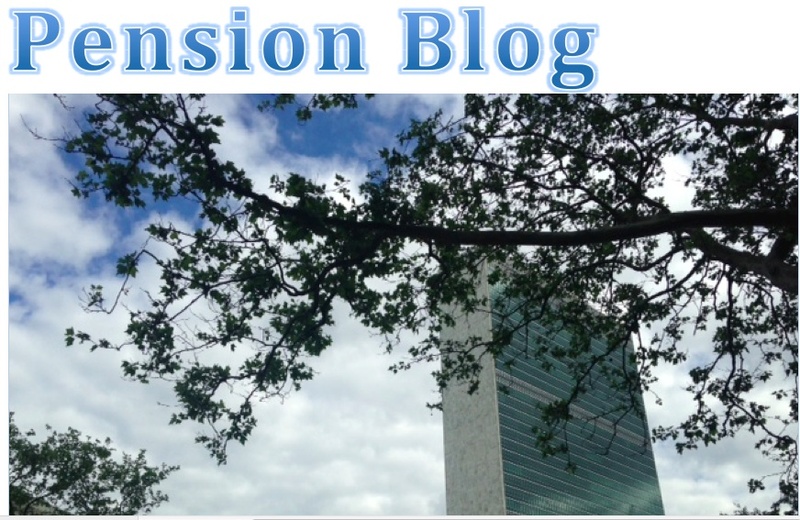 d. Retention of staff beyond retirement age – Under the UN’s rules and regulations, retirees can be rehired by the Organisation, to cover exceptional exigencies. There is, therefore, no need for separate dispensation under an MoU. However, the General Assembly has recognised that the practice is essentially unsound in terms of the over-all functioning of the unit. It often has a negative effect on staff morale. And, as practiced at the Fund, retaining retirees blocks the career mobility of serving staff, encourages staff to vie for the privilege of staying on, rewards favourites, and has been seen to compromise the performance of the work staff were hired to do. It generally reflects a lack of succession planning, which is indicative of inadequate management. 16. Requests the Board to recall that the purpose of the proposed MoU is to regularise exceptions to the UN’s rules and procedures and that such exceptions create a two-tier staff system (those on regular UN contracts subject to UN rules and regulations and those on Pension Fund-only contracts able to take advantage of the exceptions); and also requests the Board to recall that when staff on Pension Fund-only contracts were offered the chance in 2010 to convert to regular UN contracts, all staff chose to convert. 17. Further asks the Board to recognise that, if the ability of the RSG to run the division on investment management as an autonomous entity is breached and if the CEO is awarded the power to rewrite job descriptions and to classify posts as he wishes (both as proposed in the draft MoU), the CEO will have the flexibility to require staff managing the Fund’s investments to meet certain performance targets which could lead them to make risker investment decisions, contrary to the General Assembly’s mandate for the safety and security of investments. 18. Urges the Board to decide that none of these exceptions helps to ensure an efficient, effective and well-managed Secretariat. 19. Therefore requests the Board to comply with General Assembly’s 2013 request that the Board complete its review of the Fund’s policies governing recruitment, promotion and retention of staff and report to the Assembly at its regular session in 2015 (A/Res/68/247). 20. Finally, requests the Board to act on the GA Resolution 57/286 on the composition of the Pension Board, and to accord retirees membership with full voting rights.